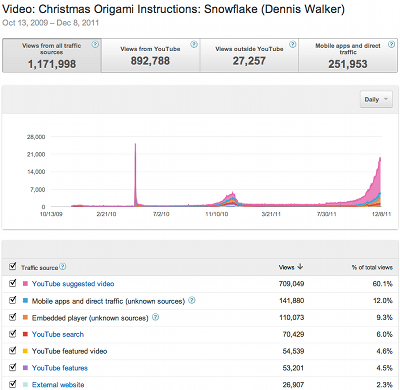 Whenever you put new origami content out there, it's good to let the community know. One of the most direct ways of reaching them is via email, and thus I do send announcements to some mailing lists, namely the Origami-L mailing list, members@origamiusa.org (Origami USA members only), BOSmail (BOS members only) and papierfalten (German). But of course there aren't just online options. You can also create CDs or DVDs and sell them. For example, Chris Palmer has a couple of CDs available on his website, shadowfolds.com (such as for his amazing Flower Tower). 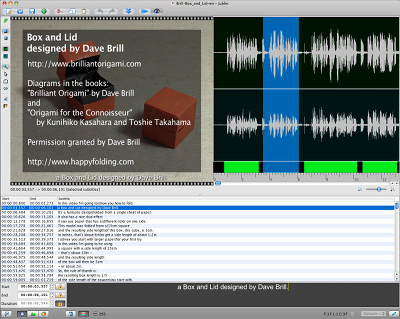 Or if you are publishing a book, adding a CD with some video instructions may help the book stand out. 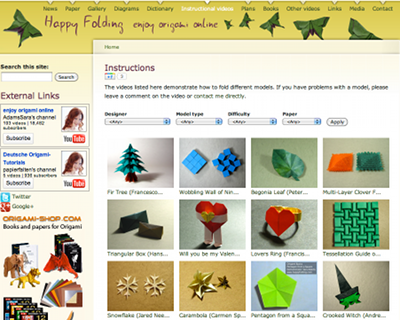 For example, Peter Engel made some videos for his most recent publication Origami Odyssey. 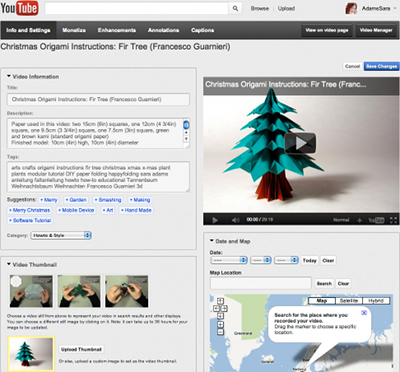 OrigamiUSA's theFold launched one year ago. And with that I also started writing my video creation guide. In six articles I mused about my process in making high-quality instructional videos, and what I learned. I hope you enjoyed this guide, and perhaps it has inspired you to give it a try yourself. Or, if you've made videos before, perhaps you could draw something from the guide to change your own process. Or, of course, it may have simply given you some insight want kind of work (and how much of it) is involved in making such origami videos. In any case, I hope you enjoyed the ride!